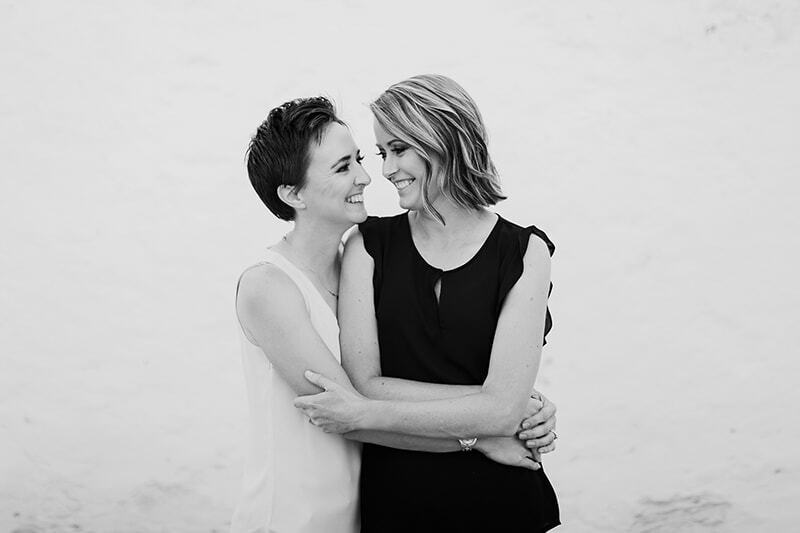 Lynnette proposed to Sarah at Nature’s Window in Kalbarri before Australia had marriage equality. 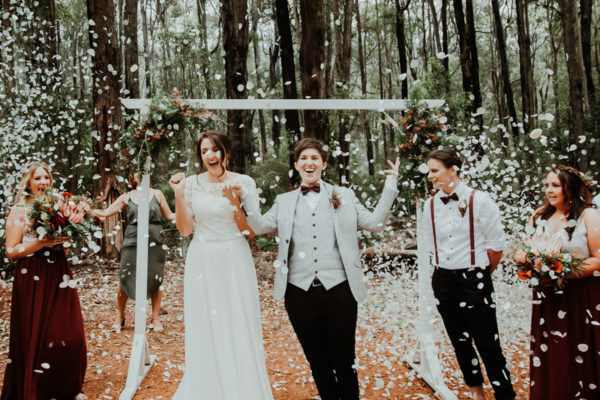 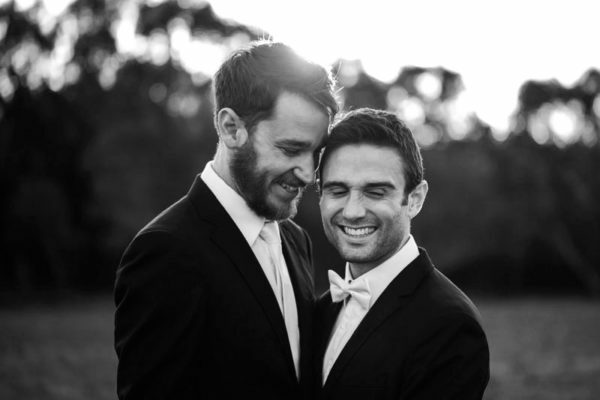 However, they wanted to wait for Australia to finally catch up before planning their wedding. 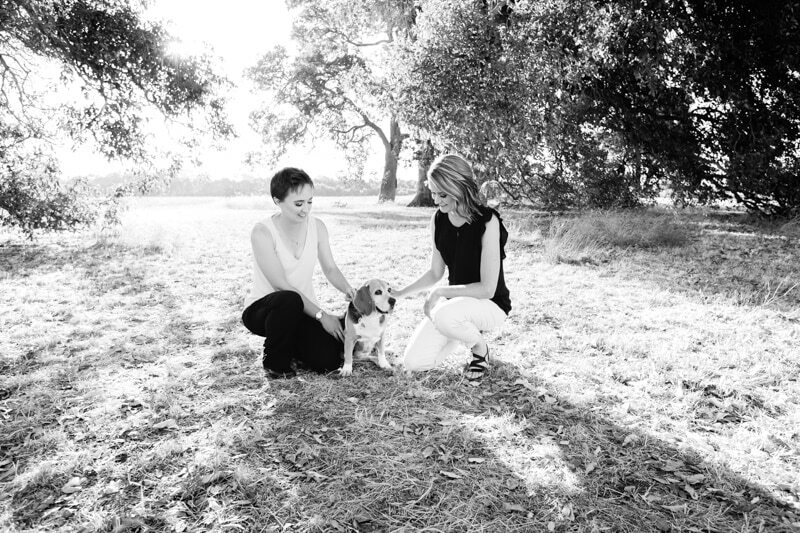 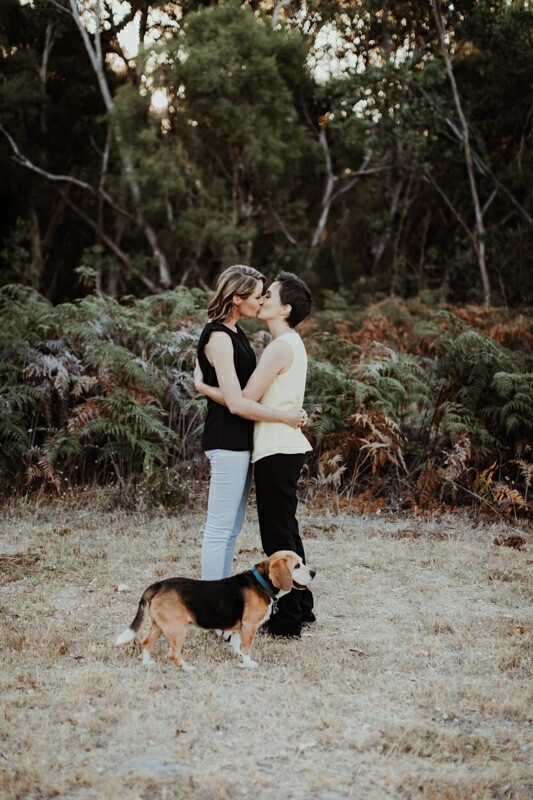 Now after 9 years together and a fur baby, Sarah and Lynnette will become wife and wife in April. 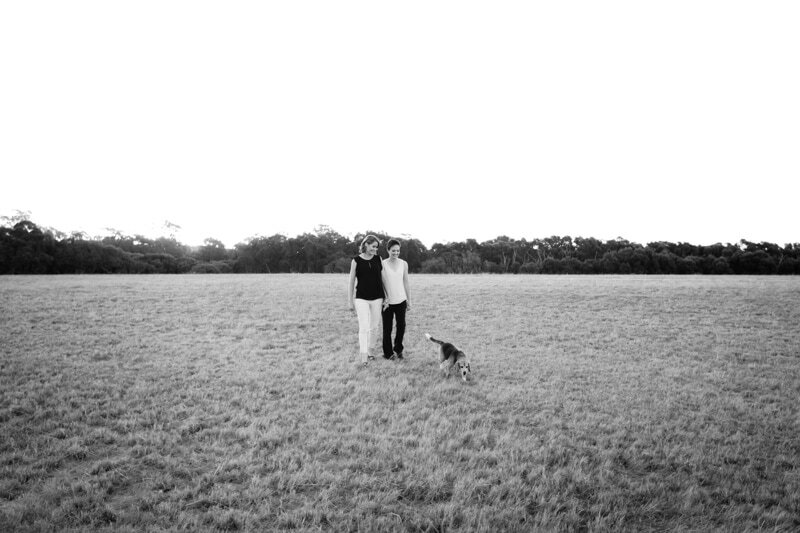 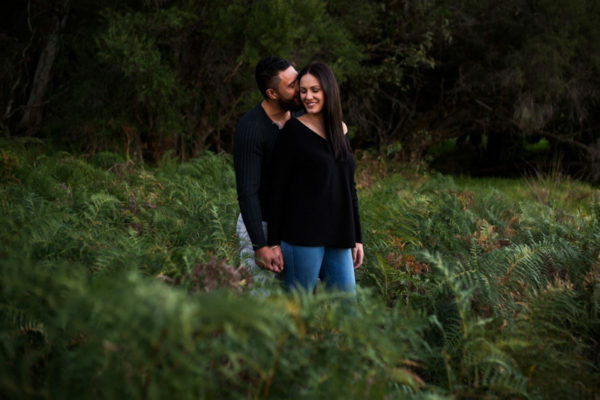 We spent a relaxed summer evening at Yellagona Regional Park for their Perth engagement shoot. 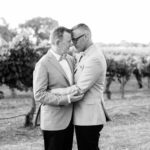 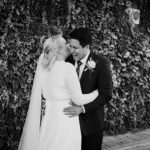 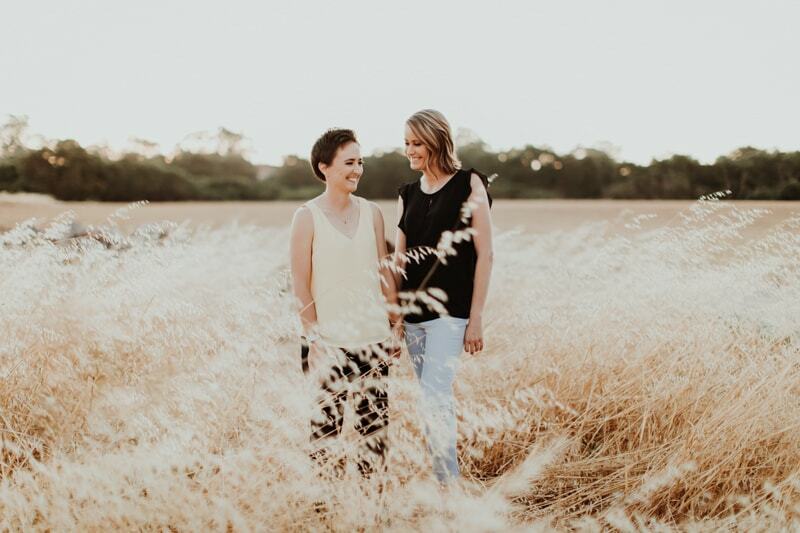 Yellagonga Regional Park is one of the best engagement and wedding photo locations in Perth. 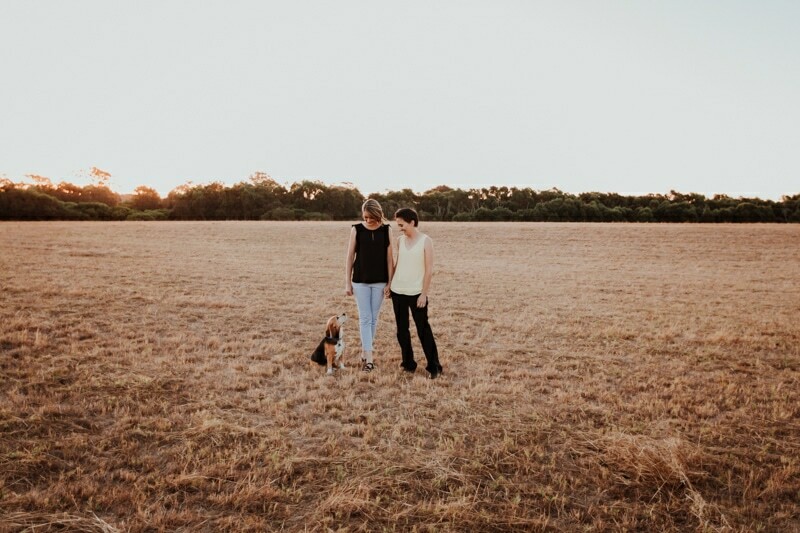 The park’s open fields, historic buildings and forested areas are beautiful at sunset. 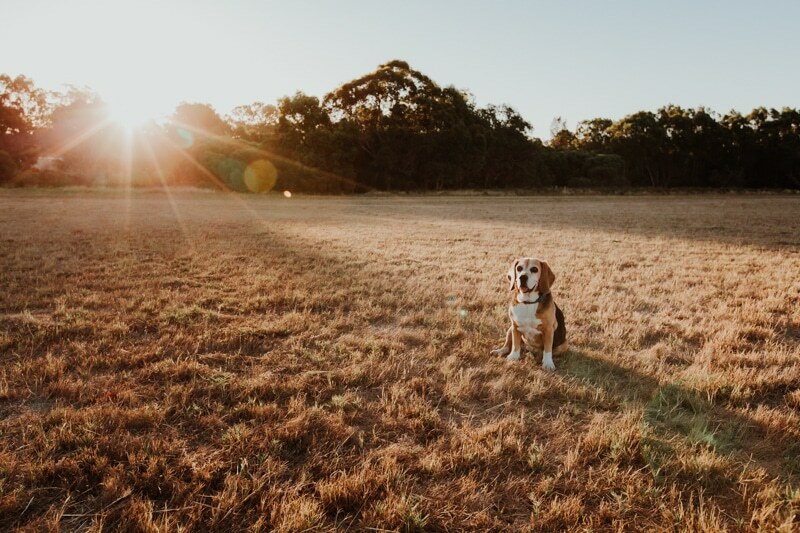 Plus being a dog friendly location meant Karla could come along for the adventure. 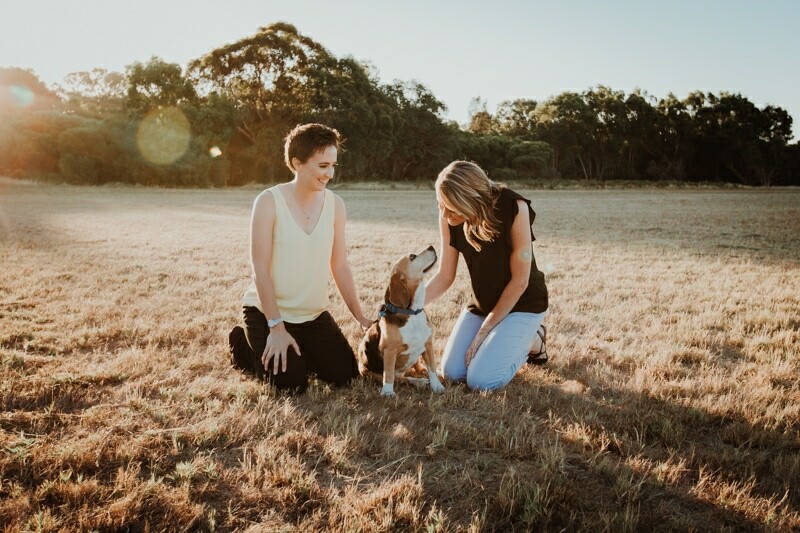 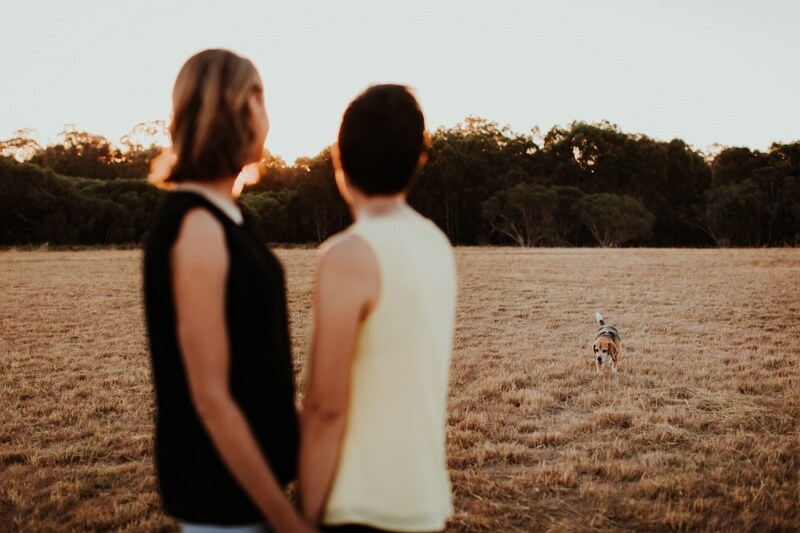 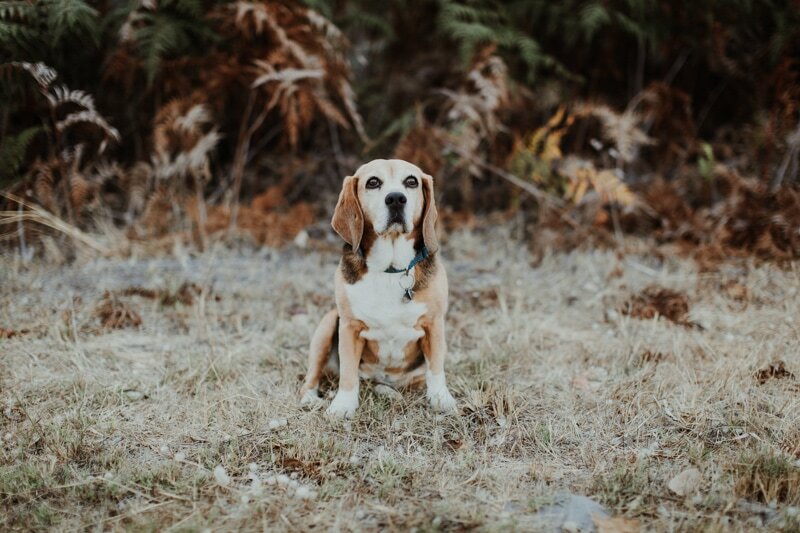 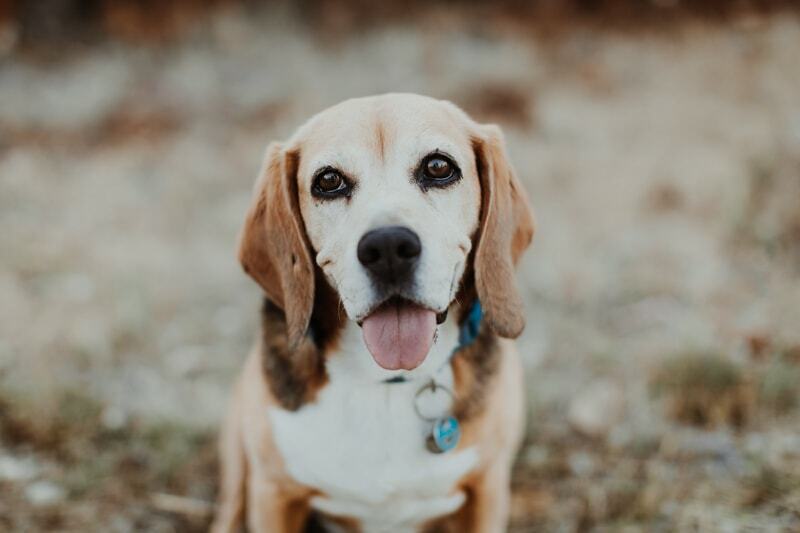 Dogs are part of the family so it’s no wonder more and more couples are including them in their Perth pre wedding photos and at their weddings. 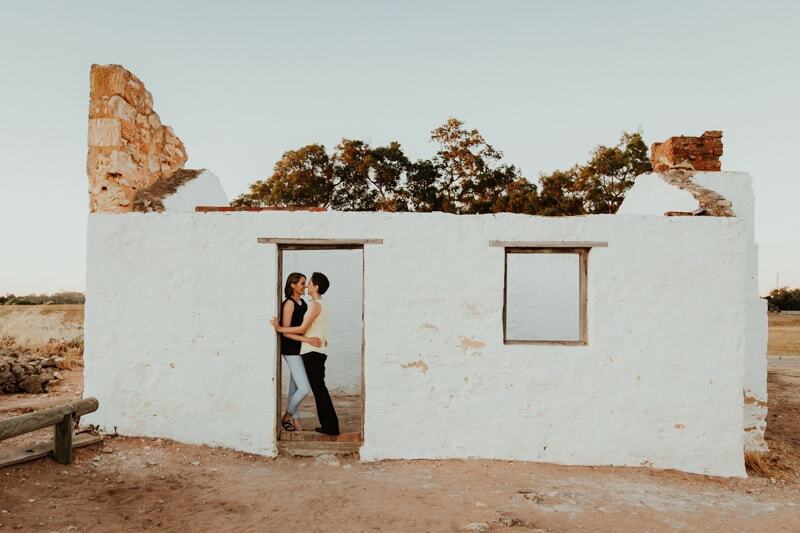 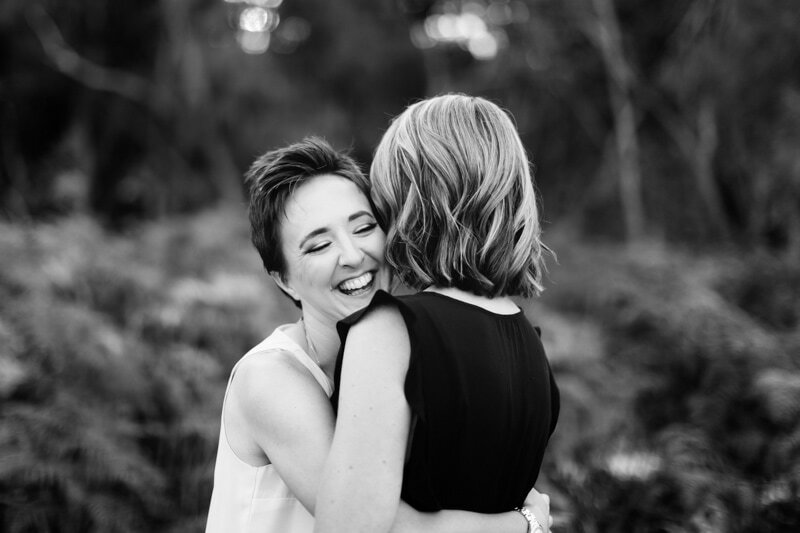 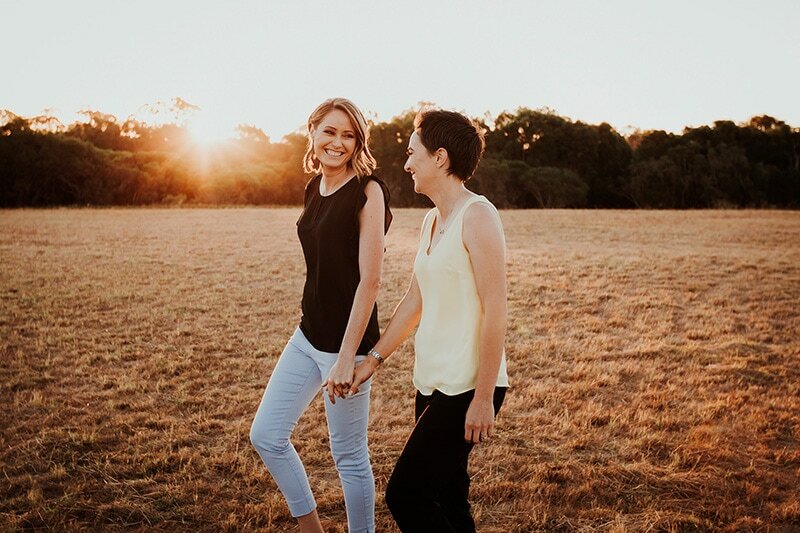 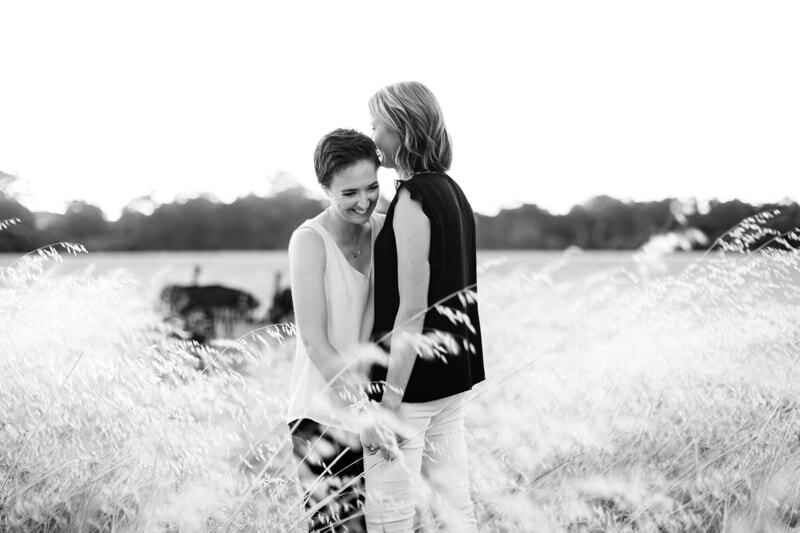 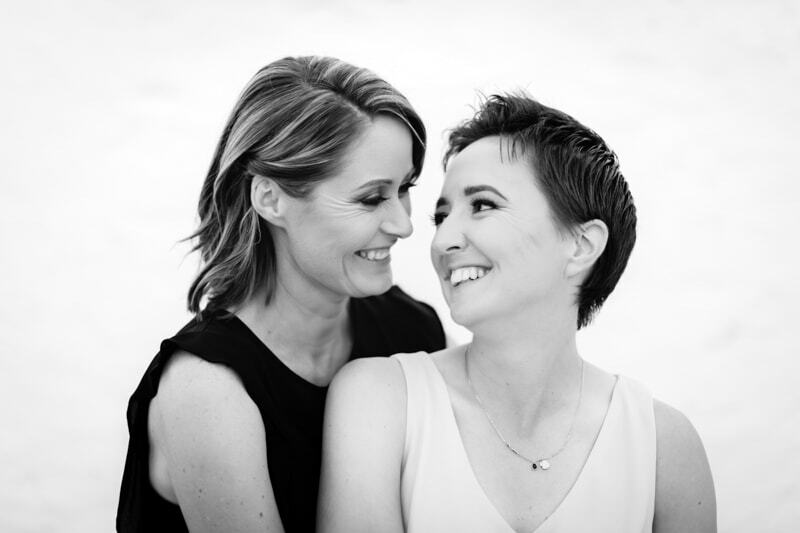 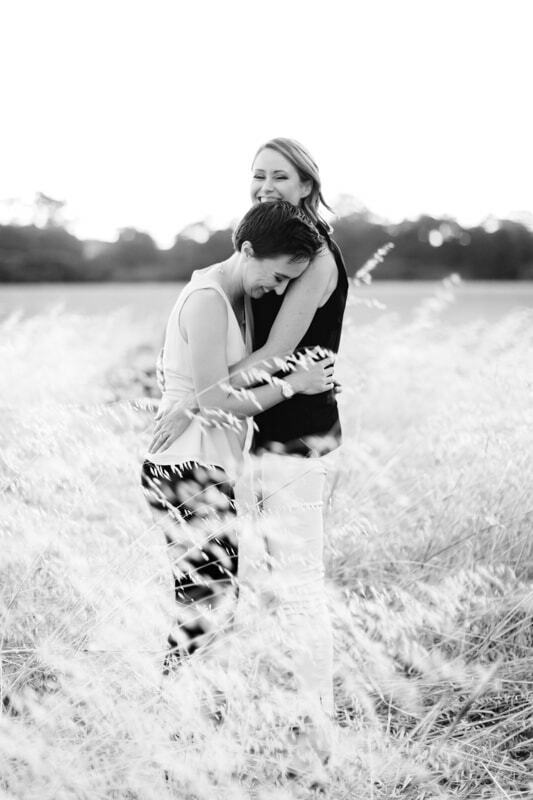 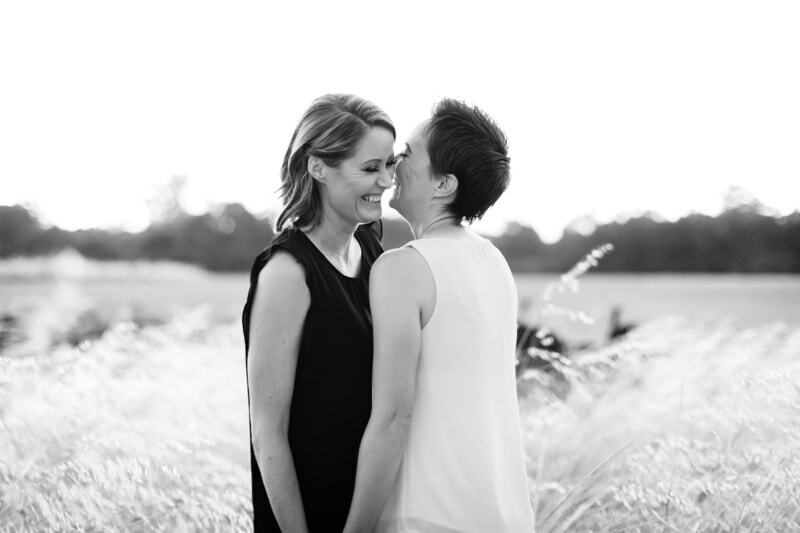 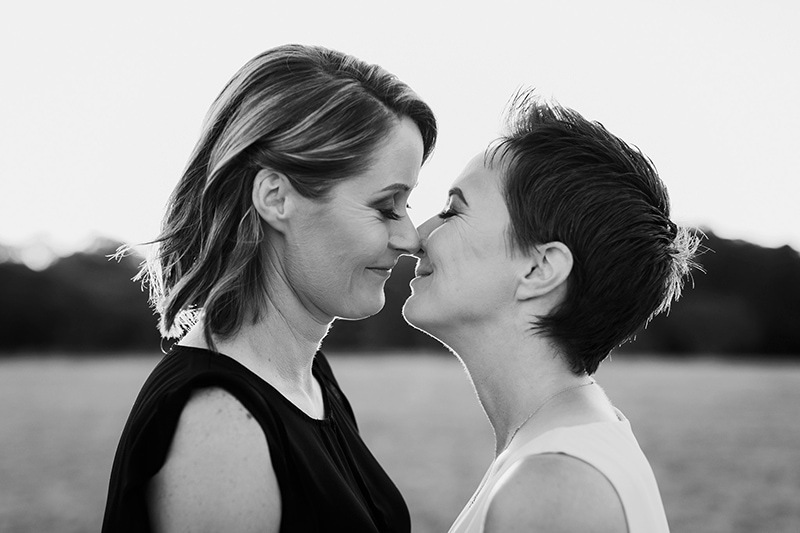 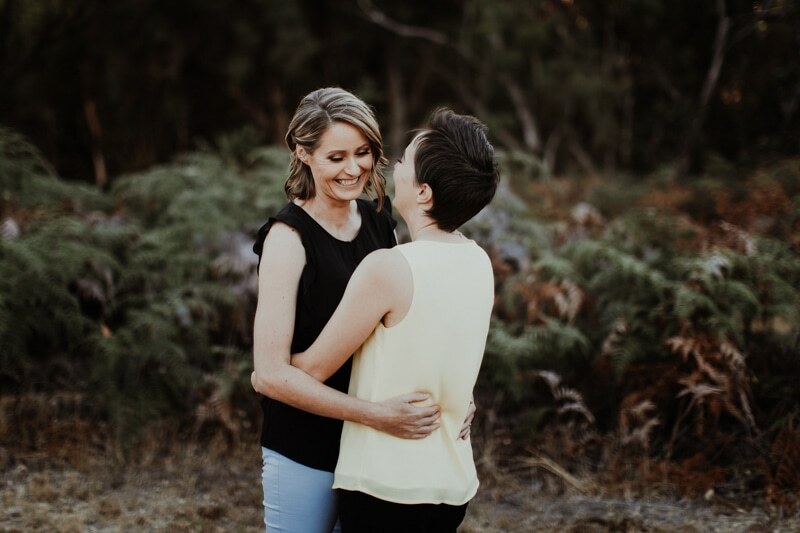 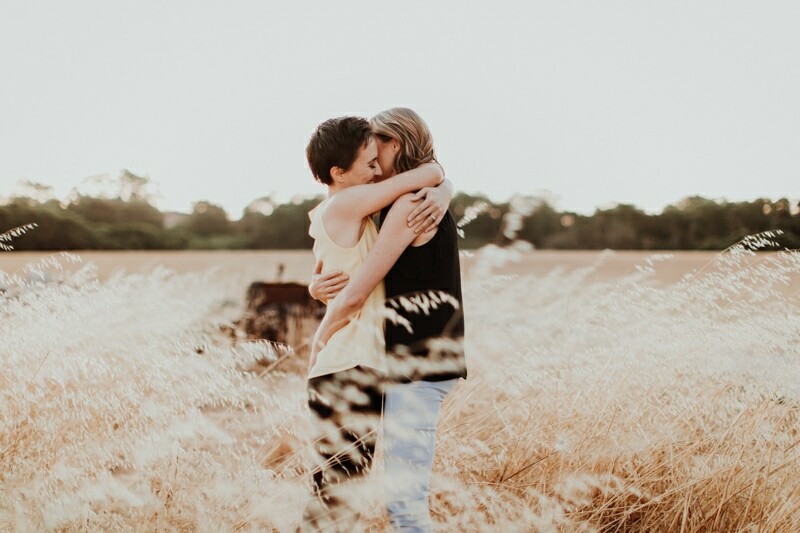 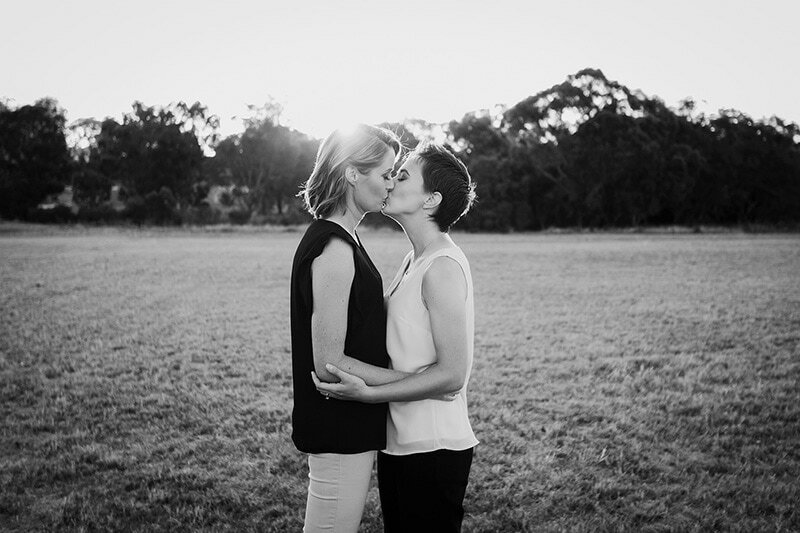 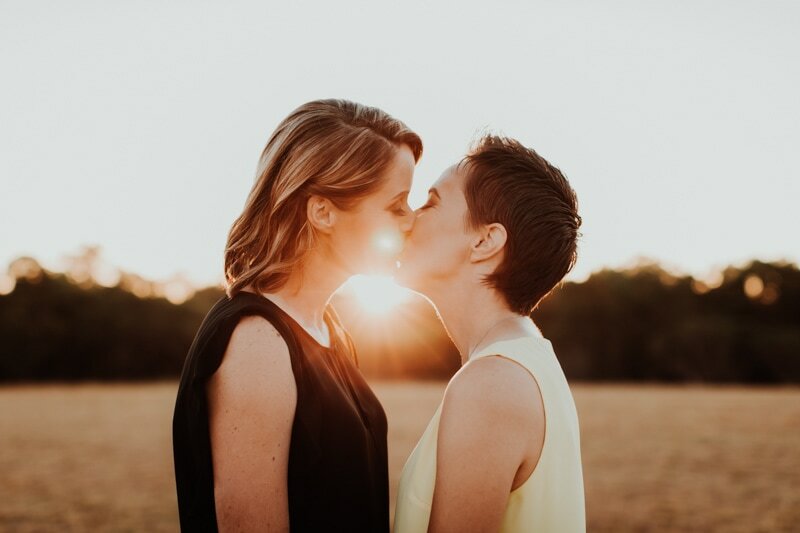 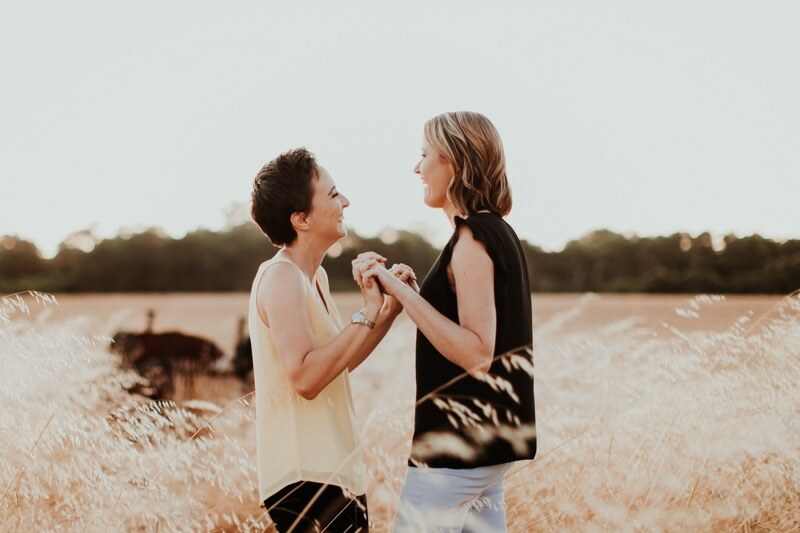 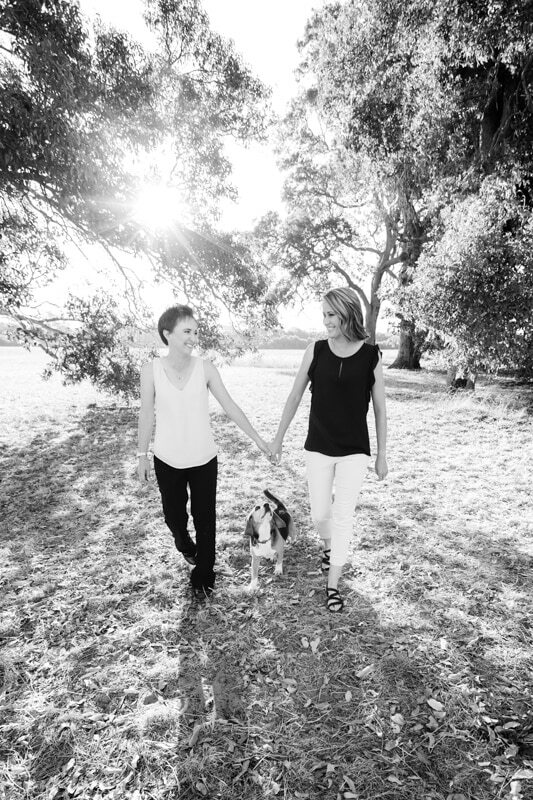 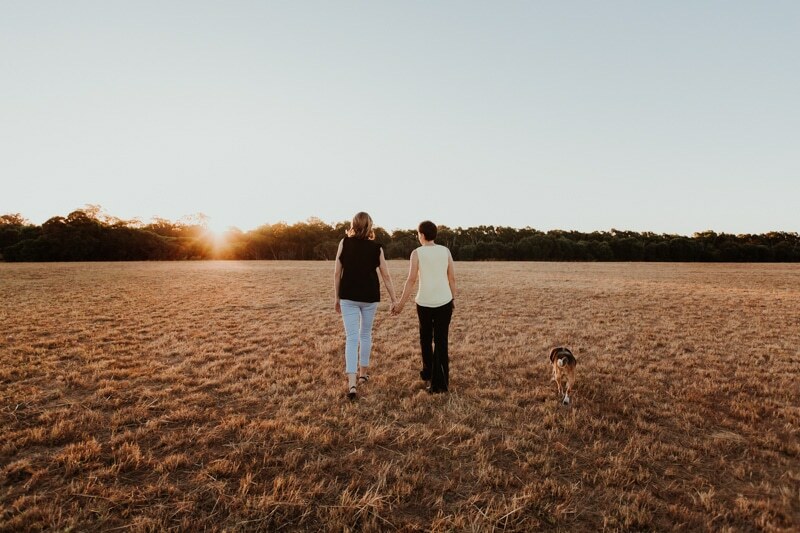 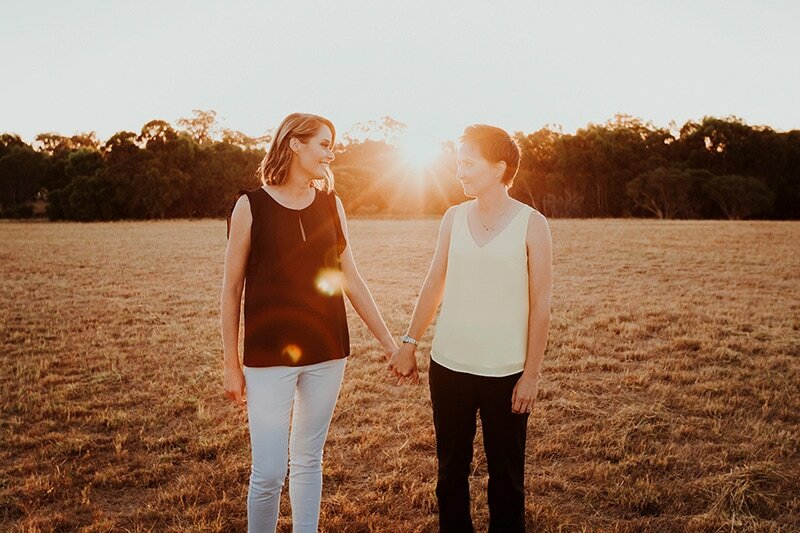 See Sarah and Lynnette’s Perth engagement photos below.